The South Korean architect Moon Hoon has forged his career designing buildings with playful, fantasy elements. While believing the business of architecture is an inherently serious business, he also likes to play with ideas of cartoon and sci-fi, taking a relaxed and light–hearted approach. One of Moon’s most famous developments was originally commissioned by the bassist of Korean band Rock it Suda, for whom he designed a collection of fantastical, cow–horned guest houses in Kangwon-do, South Korea, while on Jeju Island he created holiday cottages featuring a huge, abstract, wind–swept head as a copper–clad observation pod. Closer to home, set on the shores of the Lough Erne lakes, 90 miles from Belfast in Northern Ireland, is the Finn Lough holiday resort. 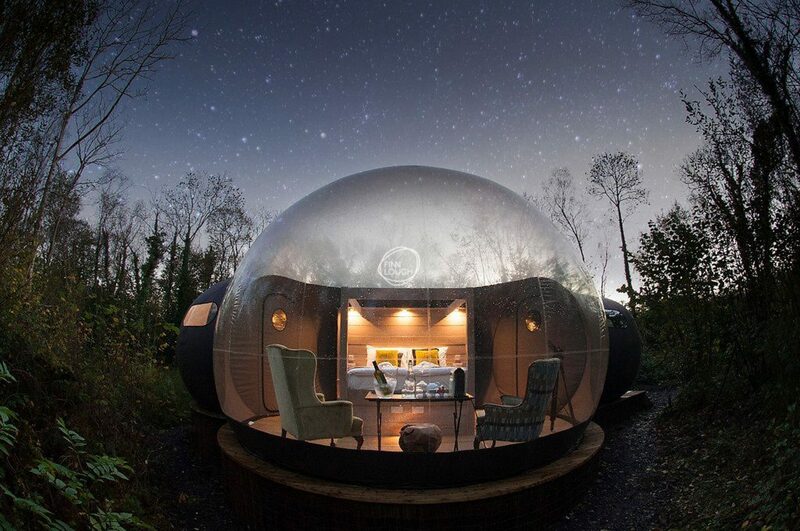 It features a series of transparent, bubble domes available as luxury holiday lodges, sitting in secluded woodland below the stars. If you’re feeling truly adventurous then book a stay at The Maruka. It’s a new, under–sea holiday villa, which is the vision of Ahmed Saleem, director of Crown Company, which creates luxury holiday developments. Maruka, meaning coral, sits five meters below the waves, with elevators between levels of luxury accommodation, set in the natural landscape of the Indian Ocean on the Conrad Maldives Rangali Island. 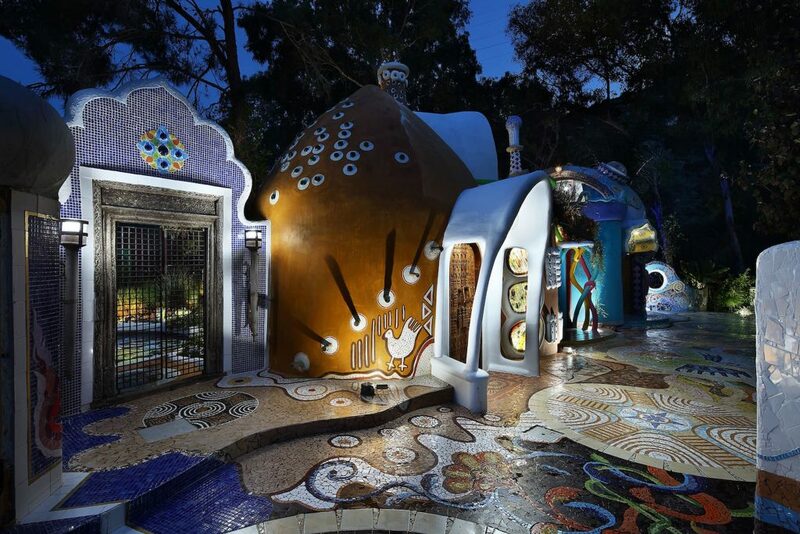 Euphoria Art Land is a Gaudi–esque, imaginative holiday escape set into a rocky hillside landscaped with cactus plants and eucalyptus trees in Pyrgos, Cyprus. The creation of artist Anthos Myrianthous the bright villas incorporate continental themed interiors, layered with nostalgic building traditions and recycled materials. 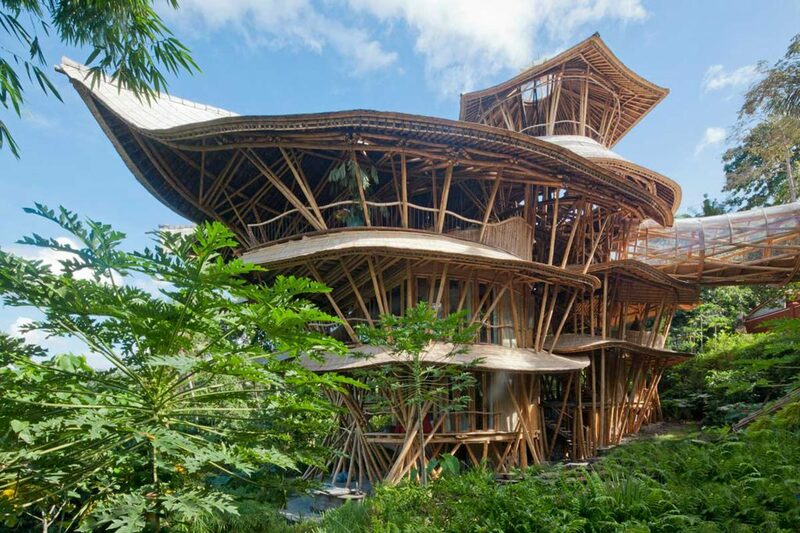 Finally, IBUKU is a movement of designers, architects, engineers and highly–skilled craftsmen, led by creative director Linda Garland, who are exploring ways of using bamboo to build homes, community buildings and experiential holiday structures such as the Sharma Springs Residence in Bali, Indonesia.